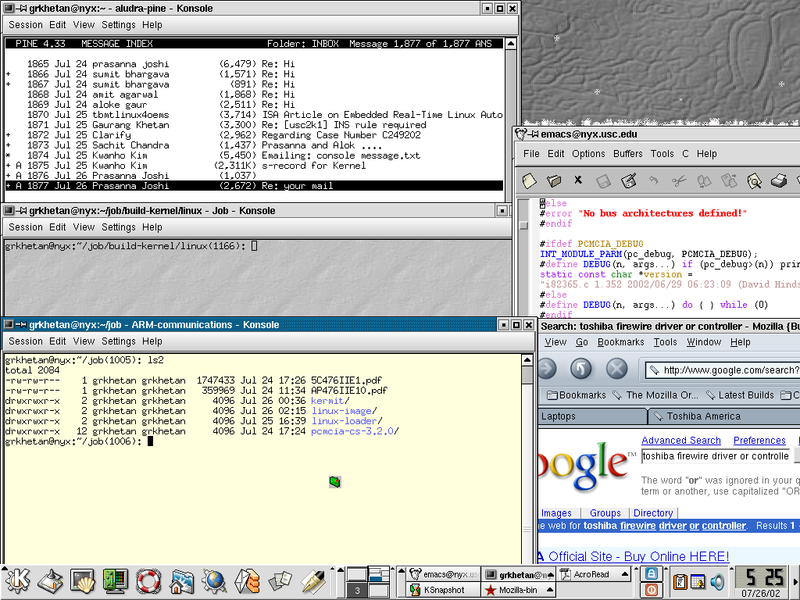 My primary OS is Redhat Linux 8.0. 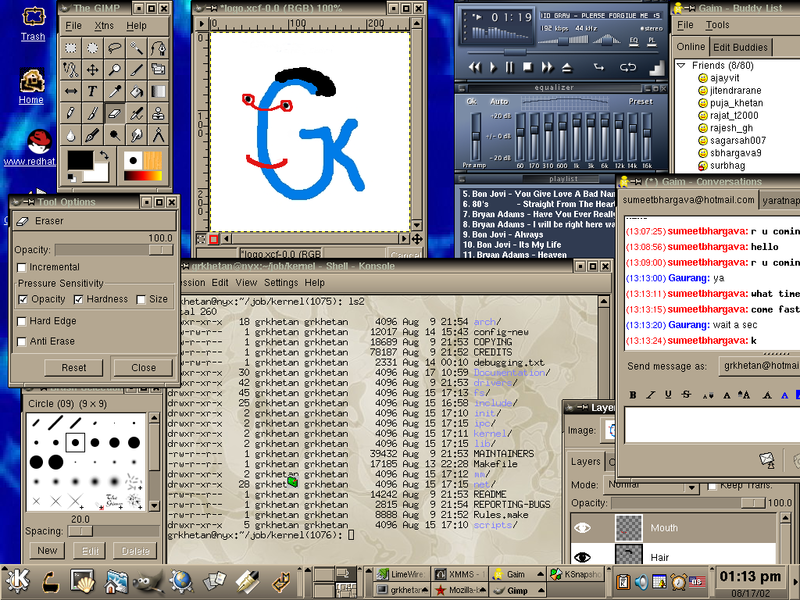 Here are two snapshots of my desktop when I started using Linux with Redhat 7.3: One Two. Gnome Pan - A cool Usenet NewsReader. OpenOffice - do all your office work here! GIMP - Wonderful Graphics Editing program, an attempt to make something similar to Adobe Photoshop. pilot-xfer: type in "pilot-xfer -b dirname" on the commandline and see your PDA getting synchornized. Does it get easier than this? mplayer: A player of a similar capability as Windows Media Player. Its too good. cscope, cbrowser: These 2 programs combine to form a very effective source browser. Useful.